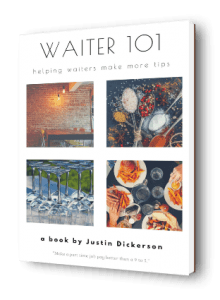 The Waiter 101 #tipsontips blog is a collection of videos and articles for servers who want to make more money but feel that they were not set up for success. Some restaurants don’t have all the pieces to make sure you succeed as a waiter. Get help here and start making more money. You are here to make money. Don't let poor training materials hold you back. Know all the basics and start consistently bringin home 20% tips. You want people to have your back in the middle of a busy shift. How do you make sure that they will? Find out the fastest ways to earn your co-worker's trust. Nobody knows it all. But it can really seem like it if you improve a little bit every day. It won't even feel like you are even trying. Do you ever feel like everyone at the table is looking at you? Do they know that you are uncertain about opening that bottle of wine? 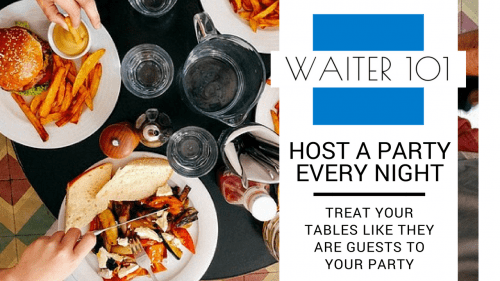 Feel confident speaking to your tables.